Take part in restaurant-wide sake bombs at Sake Rok, or beat your friends on the shuffleboard at Beerhaus. Fun is not hard to find at The Park. 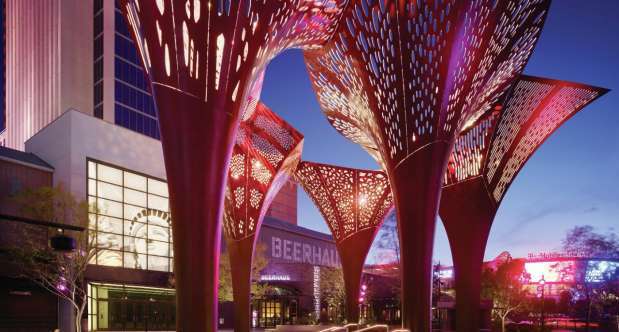 The Park is an immersive, outdoor destination for dining and entertainment. 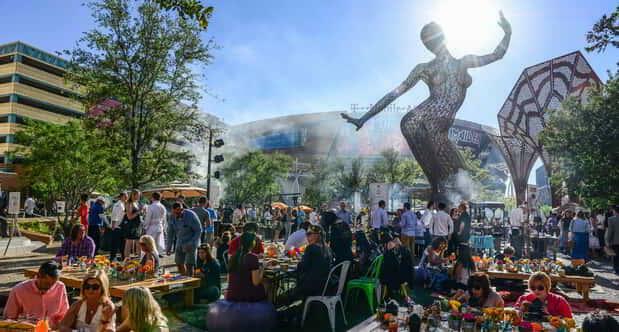 An eclectic blend of restaurants, bars and entertainment makes this the pulse that combines New York-New York, Park MGM Las Vegas, and the T-mobile Arena into one community. All of the venues are outfitted with outdoor patio seating to make everyone feel like they are part of the action. 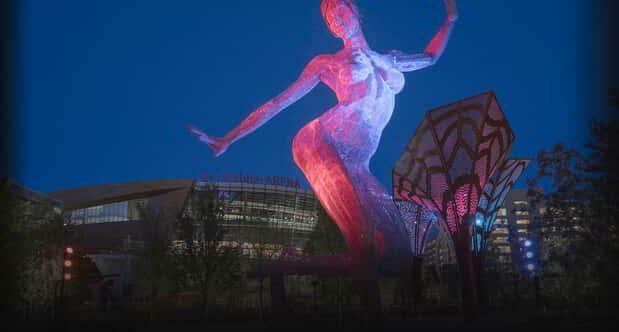 The art and horticulture programs for The Park are inspired by the desert landscape, which creates a vibrant and unique ambiance that is unlike anything else on The Strip. The Park is the best place to eat, drink, and hang with your coworkers and friends! Enjoy live music from local entertainment and drinks starting at $5 dollars. 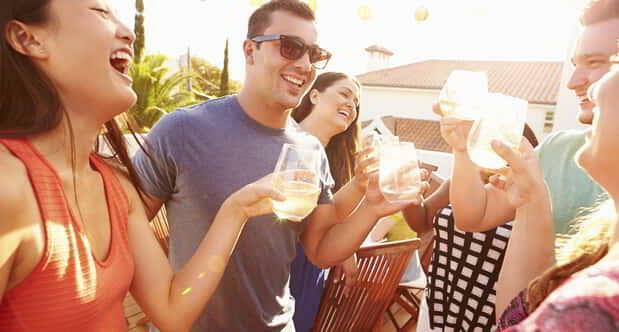 Visit Beerhaus, Bruxie, Sake Rok, and California Pizza Kitchen to get the good times started! We will see you on Tuesdays and Wednesdays at Party at The Park! Back of House Brawl, Las Vegas’ most popular food truck cooking competition series, continues April 20 at The Park. Join us for drinks, bites, an exciting mixology battle and the BOH Brawl competition. Experience South of the Border fun at Tequila Mania! There will be live mariachi music, authentic street tacos and elotes all served up with your choice of *tequila. *This event is FREE to the public and open to all ages! Must be 21+ to purchase and consume alcoholic beverages. Soak up the sunshine and celebrity at the third annual Picnic at The Park, Vegas-style, featuring live music and an all-star roster of MGM Resorts’ most notable chefs, including Jean-Georges Vongerichten, Michael Mina, Masaharu Morimoto, Roy Choi, Bryan and Michael Voltaggio, Susan Feniger, Julian Serrano, Shawn McClain, and MGM Grand executive pastry chef Florent Cheveau. Picnic at The Park will offer creative twists on classic, al fresco dining perfectly paired with wine curated by Master Sommelier Jason Smith, cocktails by Mixologist Craig Schoettler, and a variety of beer. 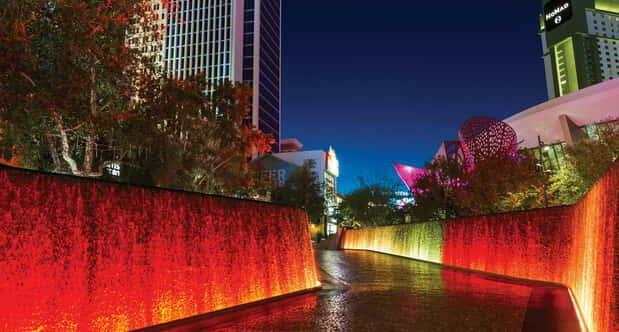 Located on the Las Vegas Strip, this marvelous outdoor experience lets you enjoy a fun, interactive afternoon of picnicking with celebrated chefs. Join us for a night of dancing and music with a silent twist. The wildly popular event is back at The Park on May 11th starting at 10pm. This event is first come, first served. Join our DJ as he stimulates your ears with today's hottest music! This FREE event is open to the public and to all ages! Project Dinner Table (PDT) is simply about people, food and purpose in unique settings, connecting the threads of humanity to the greater good. Very talented and awesome Chefs create a one-night-only menu utilizing ingredients from local growers and sustainable sources. Guests break bread with these once-in-a-lifetime menus; white tablecloth-draped dinners hosted on location in adventurous settings outside the four walls of a restaurant. It’s a deeply rooted experience that is about personal and social journeys reminding us we’re always growing; individually and collectively. Tickets for Project Dinner Table will be available for purchase soon. Please check back for more details. The 2019 NHL playoffs are here and the Vegas Golden Knights are in the playoffs for the 2nd season in a row. Find out all you need to know about this year's playoffs and VGK here. Group tickets are available for parties of 15 or more. Please note there is a limited amount of group tickets available for purchase. During the regular Hockey season, on Vegas Golden Knights home games, The Park and NYNY Brooklyn Bridge comes alive 3 hours before the puck drops at T-Mobile Arena. Take a photo with Chance, the Vegas Golden Knights mascot while live DJs keep the party going. Visit Beerhaus, the official pre-game place-to-be and enjoy live music and hockey drink specials. 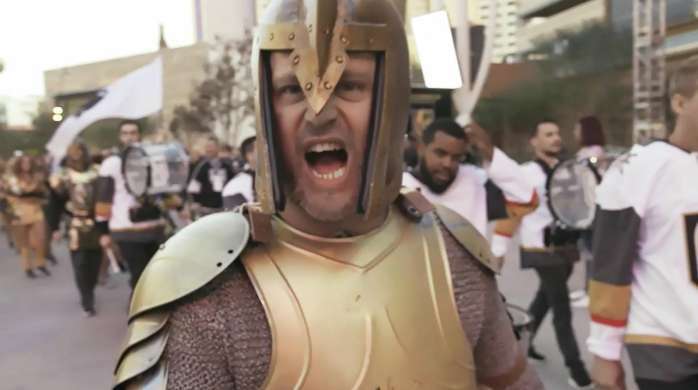 45 minutes before the game, make way for the Vegas Golden Knights Ice Crew and Drum Line as they make their way from the Brooklyn Bridge to the T-Mobile Arena. You have never experienced tailgating until you have experienced Vegas-style tailgating.